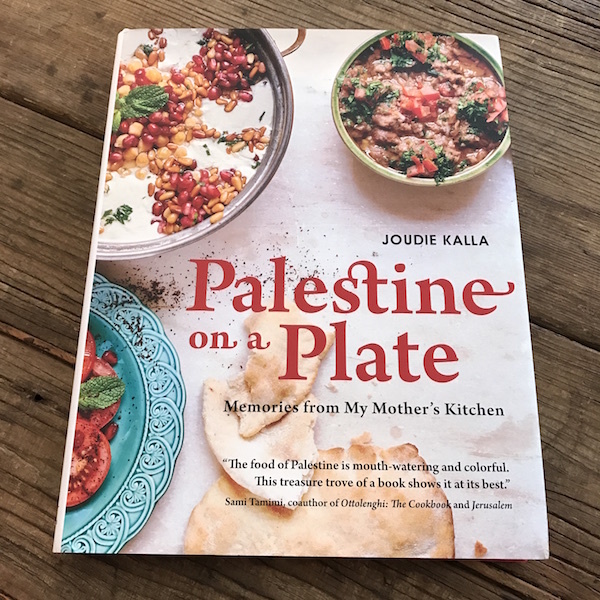 Palestine on a Plate: Memories from My Mother’s Kitchen is a stunningly beautiful book from author Joudie Kalla and Interlink Publishing. Fifty percent of the proceeds will be donated to the Palestinian House of Friendship, a nonprofit organization in Nablus that offers community support to at-risk youth in Palestine. 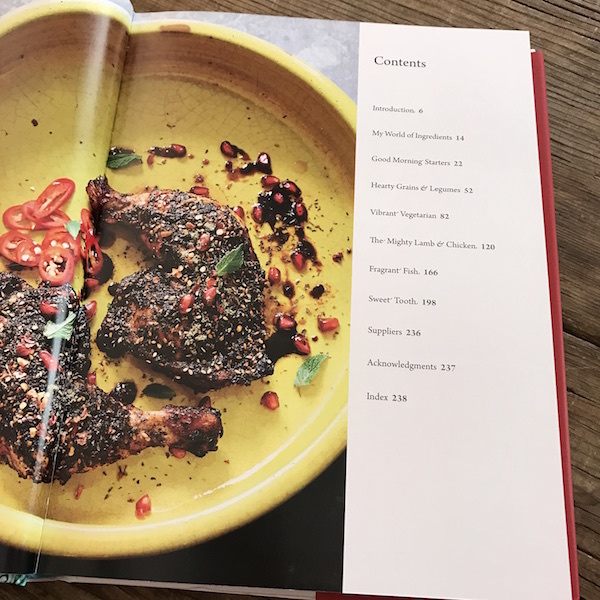 The book is organized into the following chapters: My world of ingredients, Good morning starters, hearty grains & legumes, vibrant vegetarian, The mighty lamb and chicken, Fragrant fish, Sweet tooth. Back matter includes suppliers, acknowledgements, and index. The font and layout are extremely user-friendly. The entire book is just a joy to hold and page through. 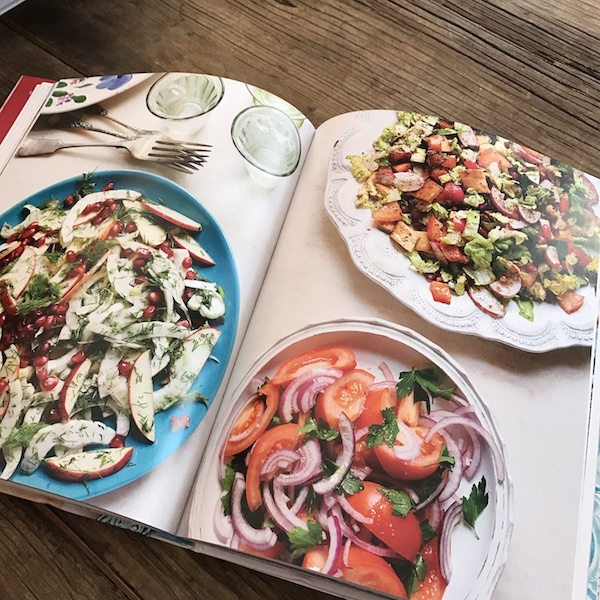 Nearly every recipe features a full-color photograph by Ria Osbourne with styling by Lucy Harvey, offering inspiration throughout. I want to try every single recipe. Recipes include brown fava beans with lemon, tomato, & olive oil, freekeh salad with marinated chicken & pomegranate dressing, monk’s eggplant salad, artichoke hearts with lamb, fava beans & carrots, sea bream with spicy red sauce, pomelo shrimp salad, Yaffa orange cheesecake, and tahini brownies. Recipes are traditional, using dairy, eggs, flour, and meat & poultry. I felt transported to the Middle East. Just beautiful. Truly inspired me. Layout is user-friendly too. 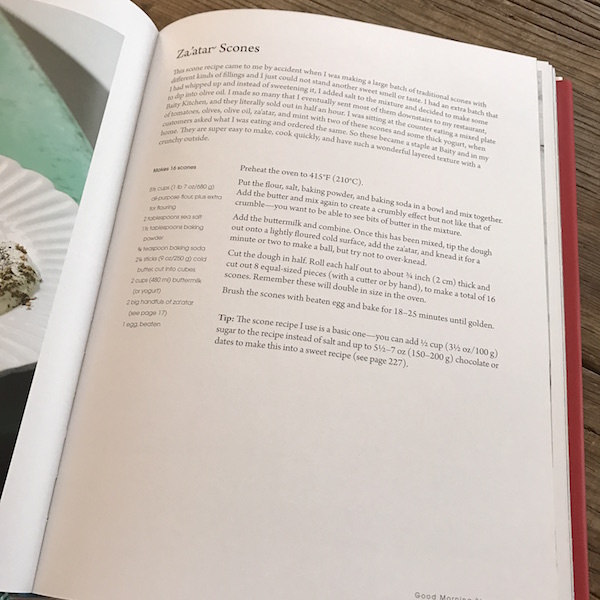 A note about my cookbook reviews: In the past, I tested at least three recipes from each book, took photos, and described my experience. Due to my dietary limitations (low-sodium, gluten-, dairy-, egg-free), it is no longer possible for me to test the recipes and do them justice. Required FTC disclosure: I received one copy of this book from the publisher for a review.